Friction is defined as "the force that opposes an object in motion." It's the resistance that keeps people from moving on to new behaviors. Here's how Saul Alinsky, a well-known community activist, explains it: "Change means movement, and movement means friction." In an organizational situation, friction is the thing that keeps team members from changing. "I forget to follow up sometimes." "I don't think this it's worth my time to learn." Regardless of the barriers your team faces, you increase the chance of making changes if you address the friction points. At Bitesize, we know how to smooth friction. To see how we do this, let's look at one of our clients in case study mode. Here's how Bitesize has helped entrepreneurs deal with friction as they build their own direct sales business. To see how to walk this path, imagine yourself in their shoes. Starting a business can feel like hiking a mountain with no path. At first, Bitesize asks you to take just one step outside your comfort zone. For example, you may feel like you need to know everything about all the available products. Bitesize provides the educational messages you and your new customers need. That way, you don't have to be an expert on everything all at once. You just need to start a conversation and use the resources we provide. These small asks are easily doable and not overwhelming. One of the obstacles to growing a direct sales business is simply remembering everything. Bitesize plans ways to smooth such bumps. You don't have to worry about forgetting something or about your customers forgetting to use the products they've purchased. We solve the problem of forgetting by updating a daily list noting what each of your customers is working on. We send you reminders when it's time for a call with suggested questions to start the conversation based on customer’s experiences with a product. Besides that, we send your customers reminders on what to use and when to use it. It becomes easy to remember important events, follow-up phone calls, and much more. 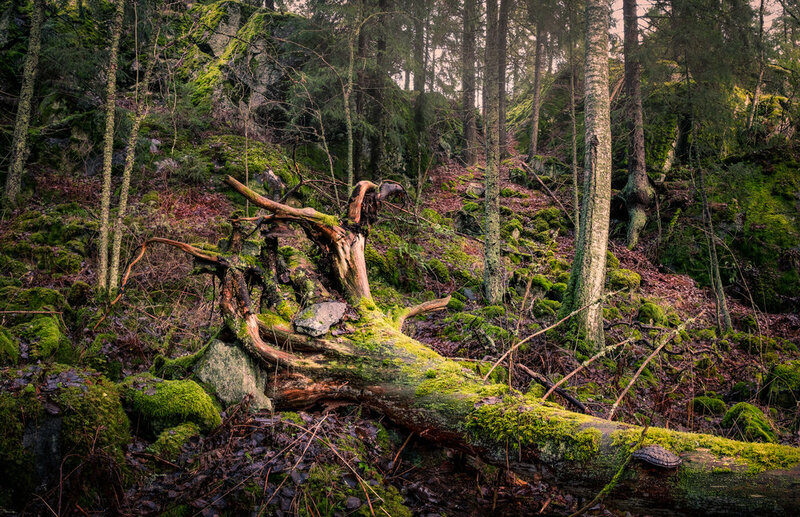 Think of a path in the forest covered with large roots and boulders. That's a hard path to smooth out. Bitesize users levers to do the heavy lifting. At Bitesize, we use four levers to smooth friction. We use environmental, social, psychological, and neurological levers. Let's look at each one in the context of this direct sales case study. We plan how to set up an environment that leads to behavior change. Creating the right environment frees you from relying on memory or sheer willpower alone. Imagine your customers need to use a product regularly to see the results they want. As an early step, we would provide suggestions on how to set up the environment. In this instance, you and your customers could plan a routine to make it easy to find and use the product. For example, you might ask your customers to put a product that needs to be taken morning and night near their toothbrush. Bitesize prompts you to apply constructive social pressure including both social rewards and social fines. Let's say you've given your customers a video to watch. You follow up a few days later asking if they watched the video. If they did, they feel good about keeping their commitment. They feel "rewarded." If they didn't watch the video, they may feel bad for not following through with their commitment. This is an example of a "social fine." You can simply ask, "Could you take a minute to watch it tomorrow? I'll call you about 4:00 PM tomorrow to see what you thought." This approach strengthens your relationship because you let them recommit and "earn" the social reward. People often think in ways that lead to failure. However, at Bitesize we understand psychology. We can help people think in ways that will increase their success and boost confidence. For example, you and your direct sales team have a goal to significantly increase profits this year. We'll show you that such a large request can make your team members feel overwhelmed. Instead, you could start with a small request such as sharing 3 samples this week. Mastering a small, attainable goal will build your team's confidence. We'll show you how to build to larger successes from there. You probably already know that it's easy to forget something. But there are ways to leverage your brain's wiring to make information more memorable. Here's an example of how you could use neurology to help your direct sales team remember easy ways to introduce new products. 1. Start by getting your team to pay careful attention to the idea. Strong emotions, something unusual, something funny, or something involving many senses are some ways to get attention. Also, you should know that attention spans are pretty short. Let's say you want everyone in your direct sales team to work on introducing new products to existing customers. We would start you off by sharing a very short, motivational, and fun video with an example of how to share a sample of the new product. 2. Use techniques like repetition or practice to locate that idea in short-term memory. For example, your team members would be assigned to roleplay a dialogue on sample sharing with you, their mentor. 3. Store the learning in long-term memory by applying it in a real-world context. In this scenario, we would challenge your team members to try the dialogue in real-life —with their one of their customers—and then talk about the experience with you. 4. Finally, we reinforce new habits by setting clear routines, triggers, and rewards. For example, there are times when it makes sense to ask questions about new products. Your team would be taught these triggers and sent reminders at just the right time. In your follow up, you'd be prompted to ask team members about their experience. You'd learn to use specific positive reinforcement to help them continue the new habit. Bitesize moves you through small successes to build confidence that leads to big successes. I have the time to work on one small thing at a time. To learn about one of the Bitesize psychology levers, read this article: How to Move Customers to Action. Then, check out this video: Our Bitesize Methodology. Learn more about Bitesize at www.teambitesize.com. You can sign up for a free, trial experience. Add your insight below. Which lever seems most helpful to you?